Speedy Locksmith is a professional, bonded and insured locksmith. Contact us for fast professional service. We are lock specialists. If your security plan depends on locks, we can assure you have good locks. We provide fast lockout service. Whether it is a building, office, file cabinet or security safe we can get it open. 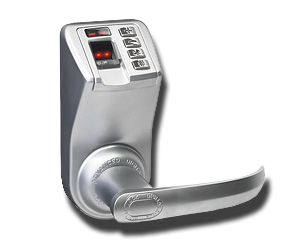 We provide re-keying and master key systems for commercial locks. Whether you are a hotel using card systems or a defense or security related business we can make quick changes. Our locksmiths can install and repair deadbolt locks. We carry good quality locks for purchase too. Our locksmiths have been trained to work with new keyless locks and biometric locks. We can program various transponders, finger print locks and combination keypad locks. Our locksmiths carry hardware for repairing panic bars and fire exit locks. We can install, repair or replace exit and panic locks. Our Locksmith Safe Opening Services are professional and discreet. We work with all types of safes. Our locksmiths are professional and bonded and insured. Fire proof safes, jewelry and security safes, combination lock, keypad lock and more are within our expertise. Our locksmiths are knowledgeable on RF ID Transponder key programming/repair/replacement, remote transponder keys repair, replacement or reprogramming, card systems and other keyless systems.